After much waiting, our family finally sat down Sunday night to watch Wonder Woman. I was very excited. I grew up watching the television series, and when my girls discovered the reruns, we would watch them as a family. 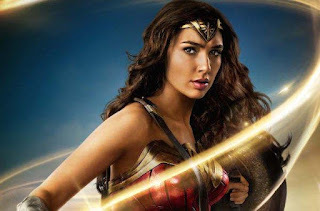 I loved gorgeous Gal Gadot as Wonder Woman, and Chris Pine did a good job as Steve Trevor. But can I just say how underwhelmed we were with the storyline? Also, the CGI at the beginning was painful to watch -- thankfully, it improved for the climactic fight between WW and Ares. And some of you may know my feelings on HEAs (Happily Ever Afters). They are necessary. In. Every. Way. I won't go into detail in case some of you haven't seen it yet, but suffice to say, my family and I debated several better endings after we saw it. I felt this way about the Divergent trilogy, too. I read that series, rooting for the MC and the love interest to the very end. And when I reached the last chapter of Allegiant, I felt betrayed. So here's my question: what movie (or book) did you feel could've been done better? Maybe not just the ending, although that is a factor, but the book as a whole? You know both of my choices, so please share yours in the comment section below. 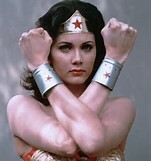 I was disappointed with Wonder Woman as well, and I had never seen the earlier versions. I was disappointed in the 2nd Lunar Chronicles book. I disliked the main character; I don't care for hot-headed, throws herself at men type of girls--especially not when they're supposed to be stereotypical redheads. Hi Elizabeth! If you like WW, check out the TV series. It's fun. (And my favorite Lunar Chronicles book is still the first one, Cinder.) I agree with you about the throw herself at men type -- ugh.